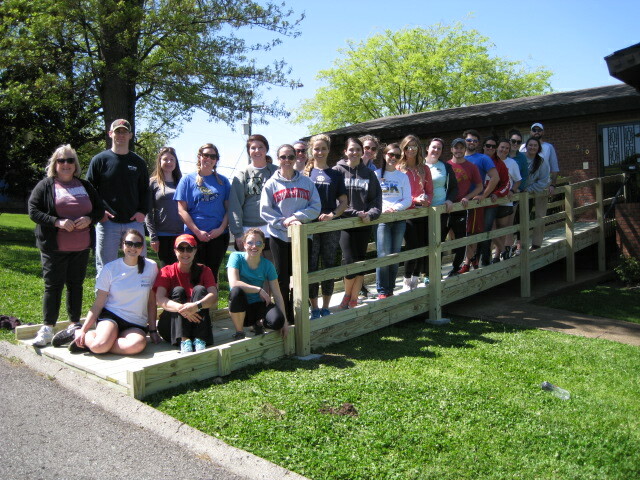 Belmont University Physical Therapy Class of 2019 recently built a wheelchair ramp for a Nashville woman who was previously unable to safely leave her home to go out into the community. This makes the 19th consecutive year that physical therapy students have built wheelchair ramps in coordination with United Cerebral Palsy of Middle Tennessee to enable community access for Nashville residents. Since 2000, more than 600 physical therapy students have participated in ramp builds while learning about federal and local disability access regulations and the construction skills required for ramp building.